Road pavement is failing by potholing and rutting due to age of pavement and poor stormwater drainage capture resulting in water intrusion into the road base materials. Reconstruction of road pavement and installation of additional stormwater drainage network and subsoil drainage alonside the sections of road to be reconstructed. 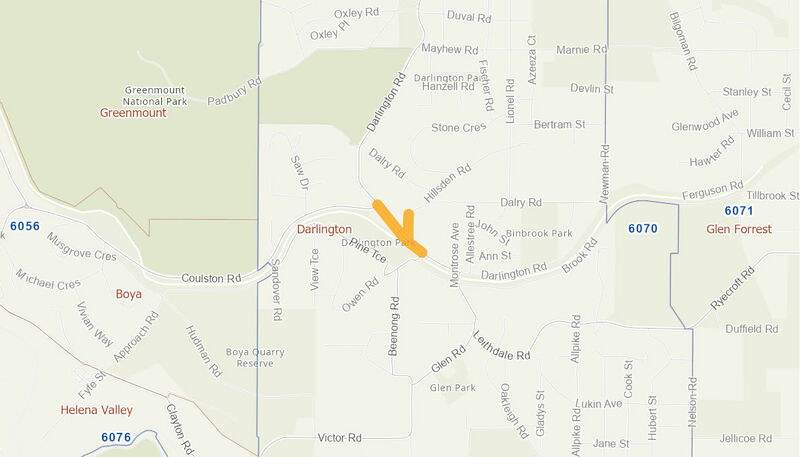 Bus embaymnets in the road section will be resurfaced with brown asphalt reflecting the historical precinct of the Darlington townsite.